Mix chicken salad spread and tomatoes. Spoon about 1 tablespoon chicken mixture on center of each endive leaf. Top with olives; sprinkle with parsley. Serve immediately. 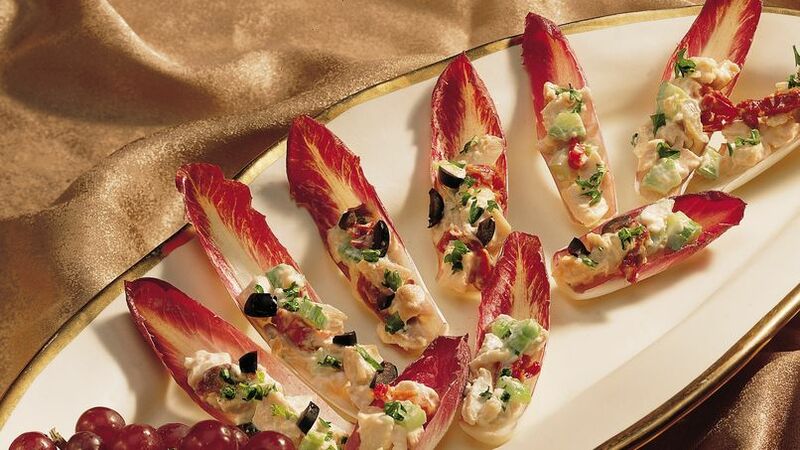 If Belgian endive is not available, spoon chicken mixture onto red or yellow bell pepper wedges or cucumbers, halved lengthwise, seeded and cut into thirds. Pick up chicken salad at the deli and you can have these quick, crunchy and positively yummy appetizers on the table in minutes.